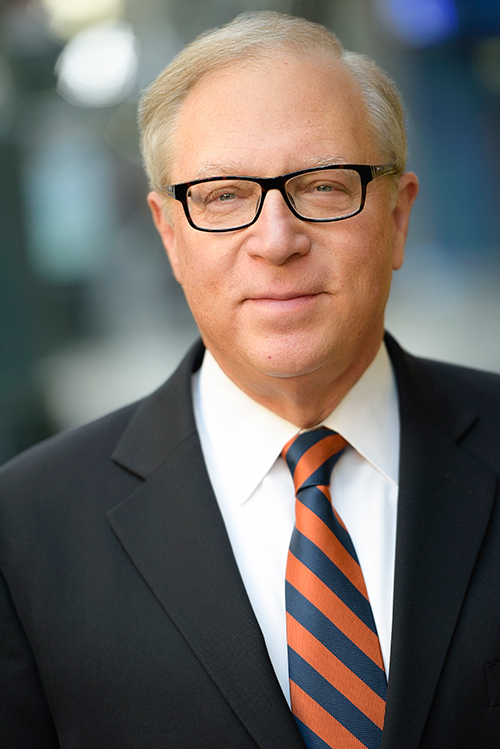 Steven Shore is managing partner and head of the firm’s litigation practice group. He has extensive experience in representing parties in complex commercial litigations and, in particular, in business, securities and real estate controversies. Mr. Shore is experienced in all phases of litigation in both the New York State and Federal Courts, as well as in arbitral forums. He is also a seasoned appellate attorney, having argued before the Second Circuit Court of Appeals and Appellate Divisions of both the First and Second Departments. Mr. Shore was one of the founders of the firm. Prior to forming the predecessor firm in 1979, he was a staff attorney with the Division of Enforcement of the United States Securities and Exchange Commission and thereafter an associate in the litigation department at Weil, Gotshal & Manges LLP. Mr. Shore has lectured at the New York City and State Bar Associations in real estate and mediation, at Columbia Law School on securities law and Union Internationale des Avocats (“UIA”) on litigation and real estate. Mr. Shore has also served as an arbitrator for the American Arbitration Association. Mr. Shore is rated “AV” by Martindale-Hubbell, the highest level in professional excellence and ethics, and has been selected as a “Super Lawyer” annually since 2006. Mr. Shore was also listed by Thomson-Reuters in their “Super Lawyers” editions in 2011, 2013, 2014, 2015, 2016 and 2017 as one of the top hundred attorneys in the Metropolitan New York area. Mr. Shore has been selected as a Fellow of the Litigation Counsel of America. Mr. Shore has been recognized in Best Lawyers in America and as a top rated lawyer in commercial litigation by the American Lawyer and Corporate Counsel. Represented corporation in a tender offer case that was adjudicated in client’s favor and affirmed by the Second Circuit Court of Appeals. Represented plaintiff in a securities fraud case that was cited by the Compliance and Legal Division of SIFMA as one of the most significant cases of the year. Represented a major comic book creator in multiple litigations involving intellectual property and contractual claims. Represented security brokerage firms and brokers in breach of non-compete and raiding cases. Represented parties in partnership/LLP disputes and dissolution proceedings. Represented accounting firms and accountants in breach of non-compete and raiding cases. Represented brokerage firms in customer arbitrations. Represented cooperative and condominium associations in shareholder litigations, among other things, involving renovations, access, shareholder rights and board discretion. Represented cooperatives and condominium associations in construction litigations. Represented parties in multiple real estate proceedings in which sanctions were awarded. Represented multiple real estate developers in foreclosure proceedings. Represented alleged securities violators in SEC proceedings. Member, Committee on Civil Practice Law and Rules of the Commercial and Federal Litigation Section of the New York State Bar Association. Member, Commercial Division Committee of the Commercial and Federal Litigation Section of the New York State Bar Association. Member, Corporation, Banking and Business Law, Litigation, and Corporate Counsel Sections of the American Bar Association. Member, New York University Law Alumni Association Board of Directors.